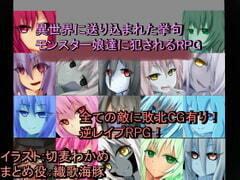 Profile for "RR Research Society"
An otoko no ko is defeated and reverse r*ped by monster girls in this RPG! For those who love status effects and being defeated! This is a reverse r*pe game that employs a roguelike battle system. For those who want to be messed up by various status effects and temptation. A must-see for all masochists who want to lose! 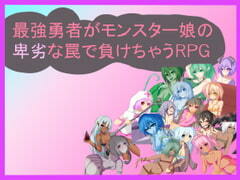 In this RPG, monster girls make you grow weaker and weaker by means of energy absorption, status effects etc. to humiliate you in reverse r*pe. 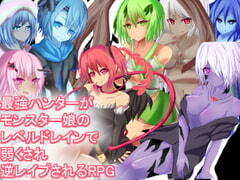 An RPG where you must run from and fight against succubi. Where you will be drained, growing weaker and weaker until finally, it devolves into a one sided reverse r*pe lynch. 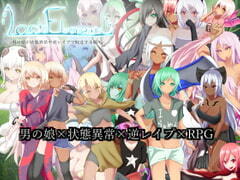 A Real Time RPG for those that want to be defeated and violated by monster girls and sadistic seductresses. Otokonoko (young boy) is sexually teased by schoolgirl, teacher, monster girl etc. For those who want to succumb and be r*ped after desperate resistance. Reverse R*pe RPG! Designed with defeat in mind! You can continue through the story, trying your best and still being humiliated by the bitter taste of defeat...! The ultimate hero, he defeated the demon lord and peace return to the lands. But, the demon lord has revived and in revenge steals the hero's clothing!